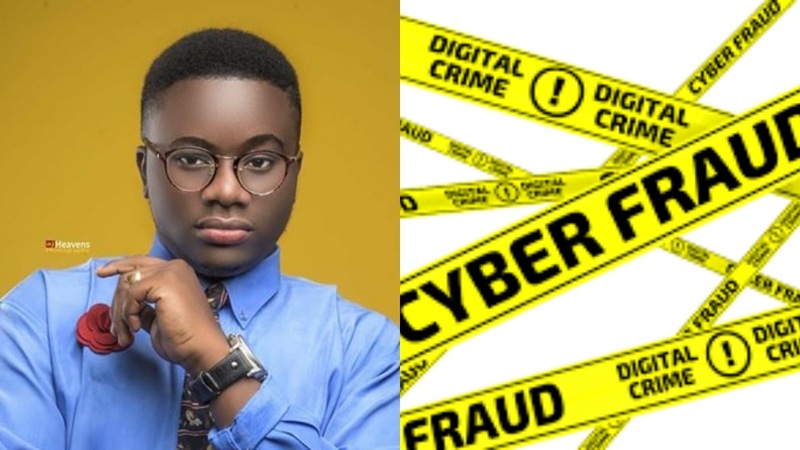 Abuja-based Nigerian musician, Whill goes into depression after losing his life savings to fraudsters. He shows his debit alerts as he lose N404k to the fraudsters. 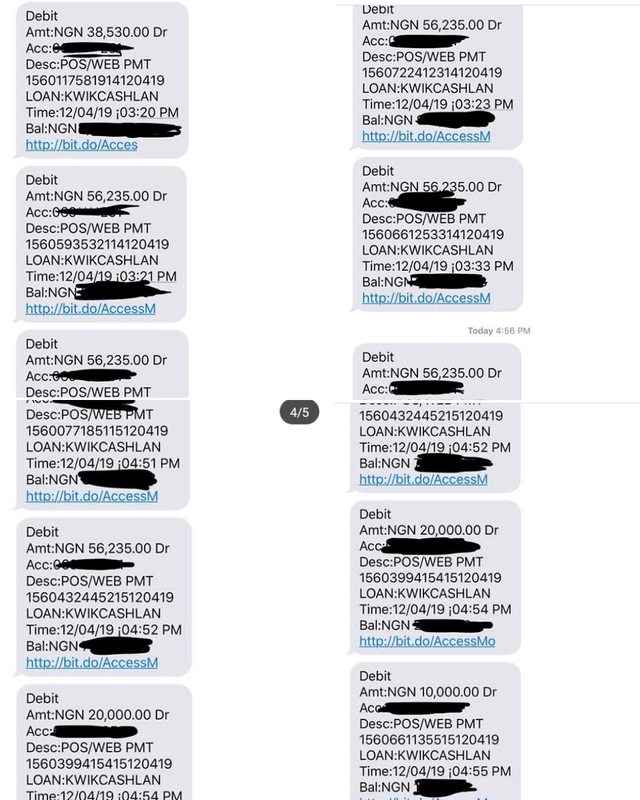 According to the bank, they claim my atm details was used by someone to pay for a loan under the “kwikcash” platform! I’m like how??? How??? Heaven knows I’m very careful with anything concerning my account, how can I be so careless to divulge my information to anyone😓 and apparently these transactions can not be tracked! I’m wondering how those transactions cannot be tracked! 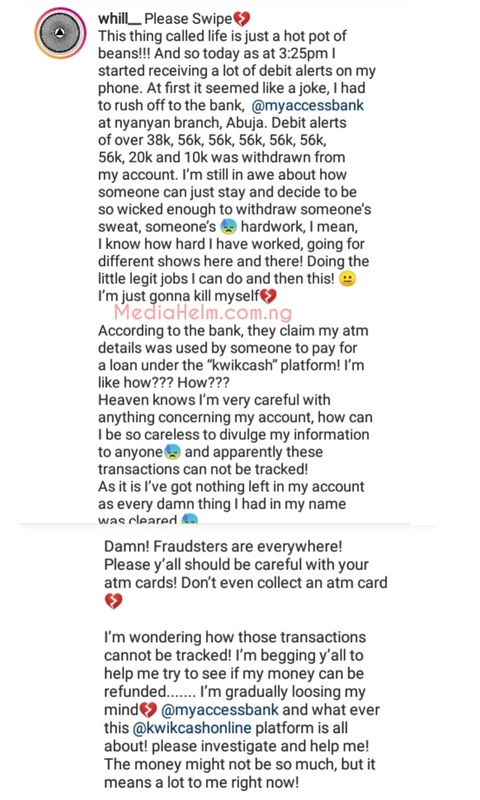 I’m begging y’all to help me try to see if my money can be refunded....... I’m gradually loosing my mind💔 @myaccessbank and what ever this @kwikcashonline platform is all about! please investigate and help me! The money might not be so much, but it means a lot to me right now!